4 Bedroom For Sale in London for Asking Price £2,650,000. 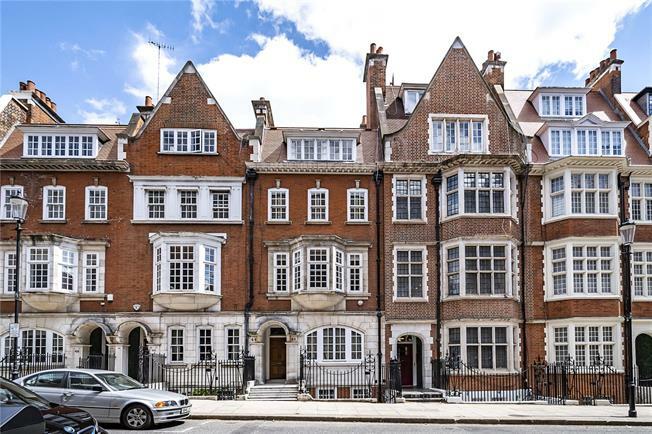 A fantastically located triplex on prime Kensington street occupying the whole first floor, Second and third floors of an impressive red brick Victorian building. The west facing living room has great ceiling heights, gas fireplace with classic contemporary surround, large bay window. Separate eat in kitchen overlooks the communal gardens at the rear. The Master bedroom and large bathroom occupies the whole second floor. Upstairs three further bedrooms and two bathrooms completes this substantial slice of prime central London Property. Hornton Street is situated just off Kensington High Street and therefore benefits from the excellent restaurant, transport and shopping facilities of Kensington High Street and Notting Hill Gate. This apartment is ideally positioned for the excellent open spaces of Holland Park and Kensington Gardens. Kensingtons is Home to two of the largests Parks in London and this property is between both. Holland Park to the West and Kensington Palace Gardens/ Hyde Park to the East.